Whisky is NOT a flavour, rather it’s a base for all kinds of flavours and smells from all over the world. Get Stuck in, there is literally a whole world out there to explore. There you have it! I opened with an outragous overarching statement about whisky POW! As part of our WhiskyTimes journey, we wanted to document some of the styles, flavours and types of whiskies we come across. But for the lazy I summed up the post above. 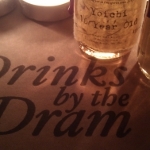 Well, to be honest its party a record for you the reader, so hopefully some of you might be encouraged to follow in our footsteps, trying awesome whiskies from without prejudice. ALSO partly; it’s because we all have heard so many people say “… I don’t like whisky” at some point. And it’s really very understandable. After all wasn’t the first time you tried whisky a bad experience? Far too often a person’s first experience of whisky is a stolen swig from a bottle of a cheap rot gut or worse. There are so many different whiskies, with so many different flavours its almost inevitable there is will be one you like because there are so many types and flavours. If you think you don’t like whisky but are willing to give it a go, then go through this list and find flavours you do like, then look through our blog experiences and try to find some of these flavours in the whiskies we have tried. So there you have it, whisky is NOT a flavour, rather it’s a base for all kinds of flavours and smells from all over the world. Get Stuck in, there is literally a whole world out there to explore.